Lane, Gigi, Papa Rock and I decided to go out to Aldridge gardens one day for lunch. We had a picnic then fed the ducks and turtles. 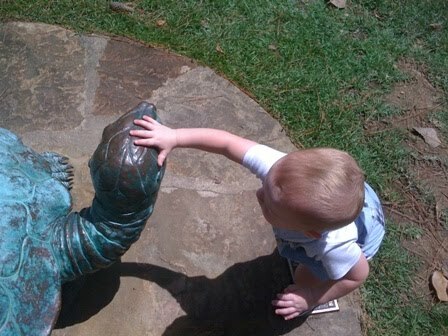 I knew Lane would love that part, but I did not realize how much he would enjoy everything else – especially the statues! 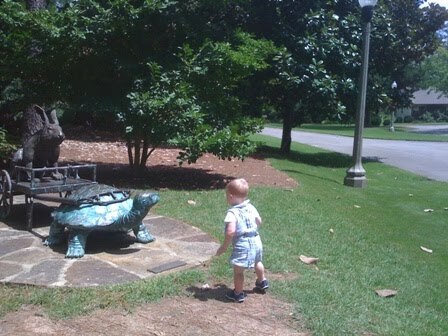 As we walked past the first statue, Lane began to scream and point. 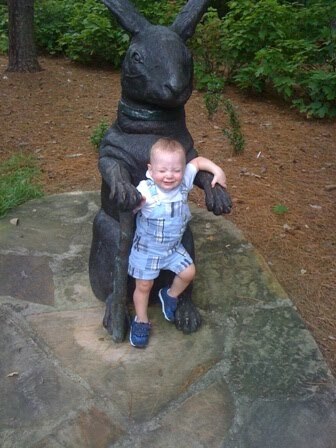 So, I let him out of the stroller and he ran over to the turtle and bunny! He was amazed! 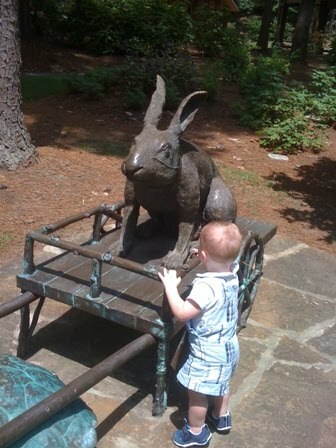 He had never seen anything like those statues before. 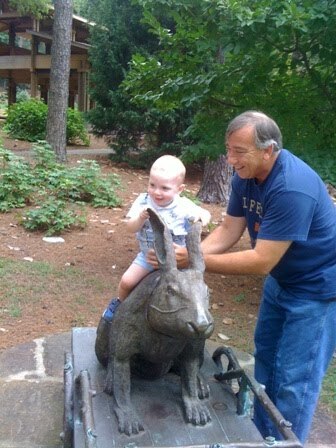 It’s not everyday you get to ride a bunny! It looks like he is crying, but he was really squealing with excitement! 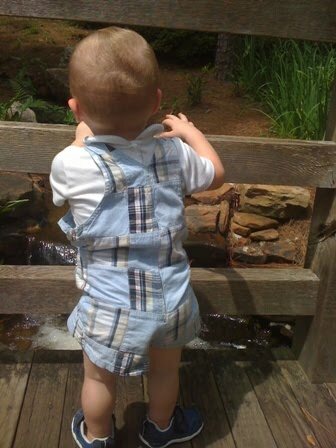 Checking out the little waterfall. 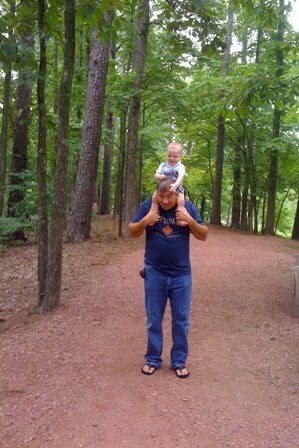 Piggy-back ride through the lake trail.